LOS ANGELES, Calif. /California Newswire/ — Urbanstylz Entertainment, the independent production company, announced today that its first feature film, "Trey the Movie," which was produced for just $68, has grossed more than $150,000 in multiple channels of digital distribution while garnering attention at numerous film festivals. The film tells the story of a man whose life is so overwhelming that he snaps killing everyone in his path. It was Mr. James' directorial debut, with an experimental approach to production marked by trial, error and many accidental creative successes. "I am so proud to see this film generate this kind of return on a microscopic budget," James said. "This kind of performance validates my approach, which was to push ahead despite violating every known principle of filmmaking. Because — would you make a bad movie everyone talks about or a good movie nobody knows about? Or even worse are you 'that' guy that talk incessantly about making movies but never makes one? These are fair film making questions but questions that can cause you to be 'that' guy. I WAS NOT going to be 'that" producer!" James was able to make the film with virtually no money, no film crew, no script and zero knowledge on how to make a movie – The lack of experience actually afforded James with the skill to not give up, the audacity to blindly lead, and the stupidity to put his life on hold while he dove headfirst into a new profession that he had zero probability of success. Ultimately, he was able to get the film made by feeding his volunteer cast and minimal crew for a total of $68, plus a cheeseburger! Unable to find a full crew, he elected not to use most of the equipment he had been provided. Using just the camera, he was able to create many realistic scenes by finding unique moments in real places. Headaches, no-shows, and creative frustrations notwithstanding, the film went on to generate $150,000, win numerous film festivals awards, and become an underground cult film. Urbanstylz has released "Trey the Movie" (2013) for viewing on multiple Video On Demand (VOD) channels including free on YouTube until Valentines Day 2016. James is now in development of his second film, a Faith-based feature called "Resolution Song," with Lester Speights, ("Transformers," "Norbit") and Kennedy Slocum (Nickelodeon – WITZ Academy). 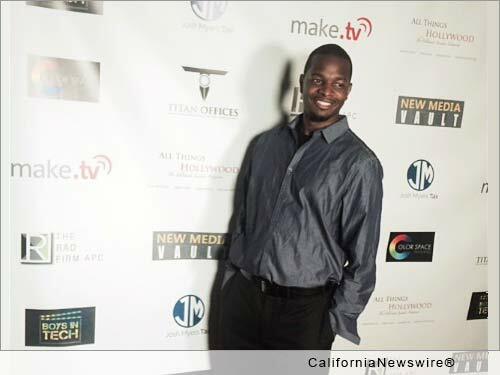 After "Trey the Movie," James, U.S. Air Force Veteran and experienced film director in Los Angeles went on to produced numerous music videos and provided videography services for dozens of organizations and TV projects such as "The Sound Off" (FOX), Al Sharpton's National Action Network, and the Veteran's Affairs Public Affairs. From 2012 to present day, Mr. James has directed over 15 short films, starred in 5 shorts, and performed background work for the movie "Neighbors" and the award winning TV soap opera "General Hospital." Learn more about Urbanstylz at: http://www.ustylz.com/ .